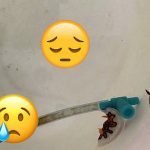 Small Enough to Be Labelled Tank-Raised? 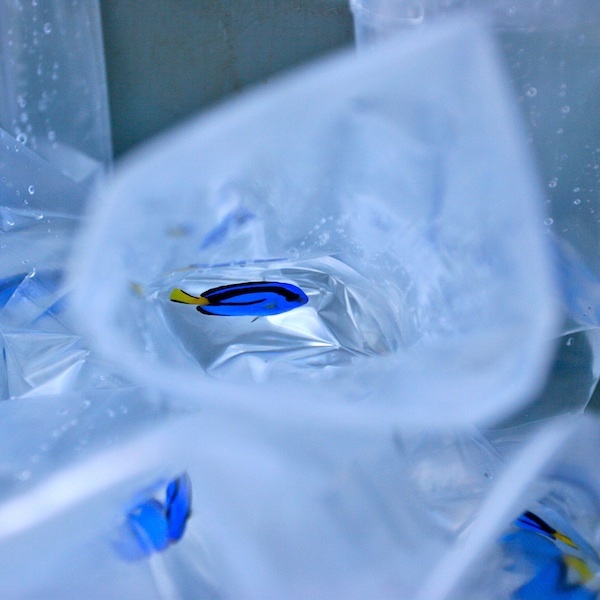 A small blue tang awaits export from the Solomon Islands. As I stated at the outset, I contend that defining tank-raised, and defining it in relationship to captive-bred, is not rocket science. Last winter, CORAL Magazine sent me to Jefferson City, Tennessee, to research on article on Sustainable Aquatics. Personally, while I was glad to learn and write about the company’s captive breeding efforts, I was most interested in their Sustainable Islands division. 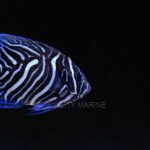 On a commercial level, it is Sustainable Islands that has produced many of the most impressive tank-raised animals seen by aquarists at the point of sale in recent years. In fact, Sustainable Aquatics is the source of many of Blue Zoo Aquatics tank-raised animals. 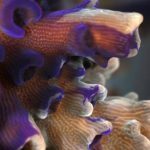 In talking with CORAL editor-in-chief James Lawrence about the Sustainable Aquatics story last year, we both agreed we had an opportunity to go on the record with a working definition for tank-raised fishes. 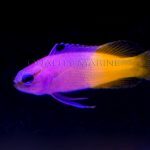 To arrive at that working definition, we looked at the history of tank-raised fishes (an article in and of itself), and we interviewed those individuals we considered to be the current thought leaders in terms of breeding and raising fishes. Looking at the Data to Define Tank-Raised In order to understand why a tank-raised fish is generally considered one of the most sustainable choices for the aquarist, we must look at some data. The best research we found on the subject suggested less than 0.01% of fertilized gametes survive the pelagic phase of a young fish’s life, and greater than 90% of the that mortality occurs in the first three days of development. Of course there are major hurdles to effectively targeting and collecting three-day old fishes, so while collecting fishes at this stage would be the most sustainable option, it is not really commercially viable at this time. So how young is young enough to still meet the bar of tank-raised? 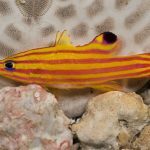 Of the individuals I interviewed while trying to nail down a good working definition for tank-raised fishes, Matt Wittenrich, author of The Complete Illustrated Breeder’s Guide to Marine Aquarium Fishes, was one of the most influential voices. “Imagine a tiny fish that just metamorphosed, developed scales, fin rays, and the like—that spent the last 30 days in the open ocean,” said Wittenrich. “Then, hearing the waves breaking on a far-off reef and swimming non-stop until olfactory cues zero in on a suitable habitat, the fish dives down to the bottom—only at night, to avoid predators—and tests the habitat. Some will travel back up into the pelagic zone in search of a better habitat. If they like what they see, they begin to develop color and ‘learn’ their new environment. Tons of them fall to predation at this point.” This stage in many reef fishes lives lasts roughly 10 days after the fish has settled on the reef, according to Wittenrich. “The mortality rate of post-settlement juveniles is consistently high and decreases with increasing body size,” Wittenrich told me. “So, the short of it is, the smaller you can collect them, the less ecological effect one would have.” Of course this leaves us asking how small is small enough? “I would draw the line at two weeks after settlement,” Wittenrich said, “as this is generally when the ‘adjustment’ or ‘critical period’ ends and natural mortality rates subside.” So there you have it—a working definition for tank-raised fishes. To spell it out, a tank-raised fish is a fish collected at any point up to two weeks post settlement and then raised to a salable size in a tank (anywhere from a period of months to a year). Is there some wiggle room based on the complexities of collection and the individual traits of various species? Sure there is. But this working definition goes directly to the spirit of what we mean when we label a fish as tank-raised fish–it is an animal collected during a life stage when natural mortality is still exceedingly high. Does this translate directly to corals and non-coral invertebrates? In some cases yes and in some cases no. More discussion is probably warranted in this regard. What a Tank-Raised Fish is Not The debate surrounding the Blue Zoo Aquatics WYSIWYG tank-raised cuttlefish this past week was not just about the term tank-raised. It was largely about the relationship and misconceptions between the terms tank-raised and captive-bred. As such, defining tank-raised by what tank-raised fishes are not may be helpful. A tank-raised fish is not a captive bred fish. 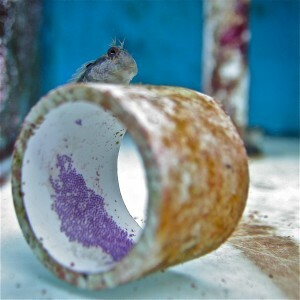 A captive bred fish was raised entirely in captivity and is the product of captive parents. A tank-raised fish is a wild-collected fish, and the tank-raised fish’s parents are wild fish. A tank-raised fish is also not a captive conditioned fish (although it shares many of the same traits). A captive conditioned fish is any fish collected as an older juvenile, sub-adult or adult fish and then conditioned to aquarium life for a period of time. How long? A true captive-conditioned fish should be eating a captive diet and should be well socialized before sale. Adding Value at the Point of Sale It’s important to remember these terms have value for the aquarist at the point-of-sale. They are labels that give the aquarist more information about an animal they are considering. A beginning aquarist might be seeking a tank-raised or captive bred fish because it will generally be easier to keep. A sustainably-minded aquarist may be seeking a tank-raised fish because it is one of the more sustainable options, especially for a fish not yet available as a captive-bred fish. A public aquarium may be seeking a captive conditioned fish because it is large enough and socialized enough to be a good exhibit animal in a particular exhibit. Having these choices benefits the trade, but it only benefits the trade if those choices are based on reality. It’s up to all stakeholders to insist on a rigorous use of the terminology. Ret Talbot is an award-winning freelance writer and photographer who frequently covers fisheries at the intersection of science and sustainability. He is best known for his data-centered, investigative pieces in publications like Discover Magazine and CORAL Magazine. His multi-part series on the sustainability of the aquarium trade in CORAL, as well as his book Banggai Cardinalfish (Reef to Rainforest Media 2013), has brought attention to the socio-economic and environmental benefits of a sustainable aquarium trade, as well as the need for comprehensive aquarium trade reform. He lives in coastal Maine, where he blogs regularly at his own Good Catch Blog (www.GoodCatchBlog.com). 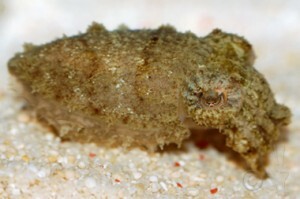 In defense of the AquaNerd Blog, it was never stated that the cuttlefish were captive bred. We referred to them as tank raised throughout the entire article. We did use the phrase “maybe even captive bred”, but only as a jumping off point to explain how few captive bred cuttlefish there are commercially available to aquarium hobbyists and how exciting it would be if they were captive bred.